Amador Danes - NV'E CH. Amador Moredanes In Your Dreams (CH. 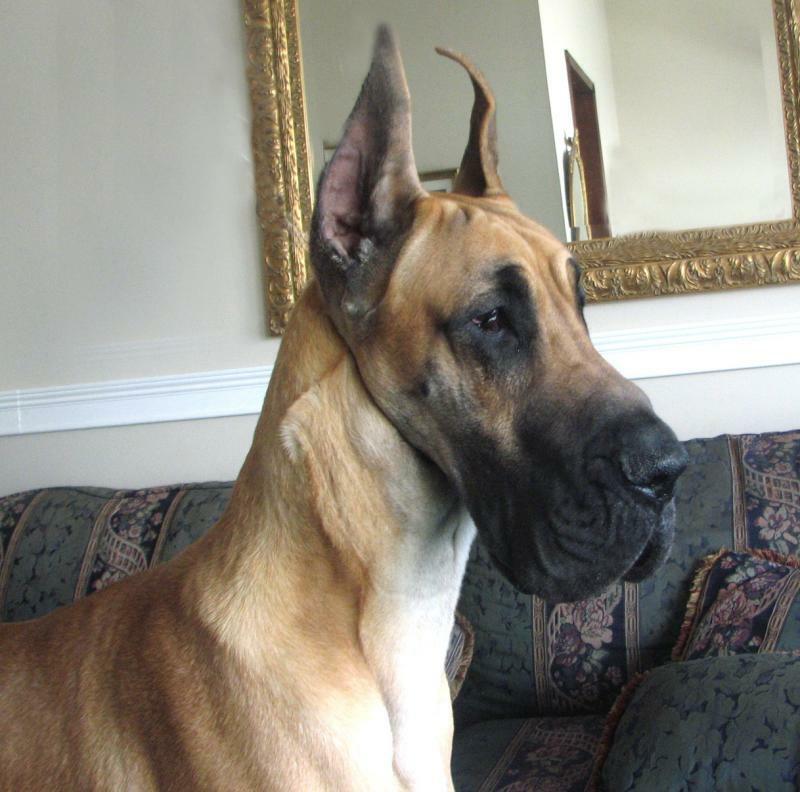 Moredanes What Dreams Are Made Of x Amador's Honey Gold Grumbles) DOB: 3-10-2010 NV'E won a 4 point Specialty major under respected breeder-judge MJ Cohen, Thorkourt Danes. He captured another 4 point major shortly thereafter. NV'E won a 4 point Specialty major under respected breeder-judge MJ Cohen, Thorkourt Danes. He captured another 4 point major shortly thereafter. NV'E is owned and loved by Linda Morelli of Moredane's. 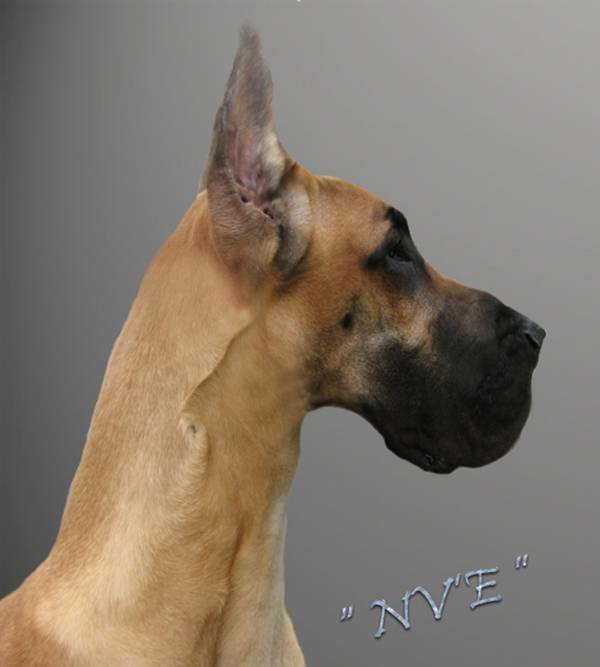 NV'E's sire Humphrey, CH. Moredane's What Dreams Are Made Of, is bred by Linda. NV'E is bred by Amador, Lisa and Stephanie Ellison who own his sweet mother Honey. Honey is the full littersister to our Patrick. 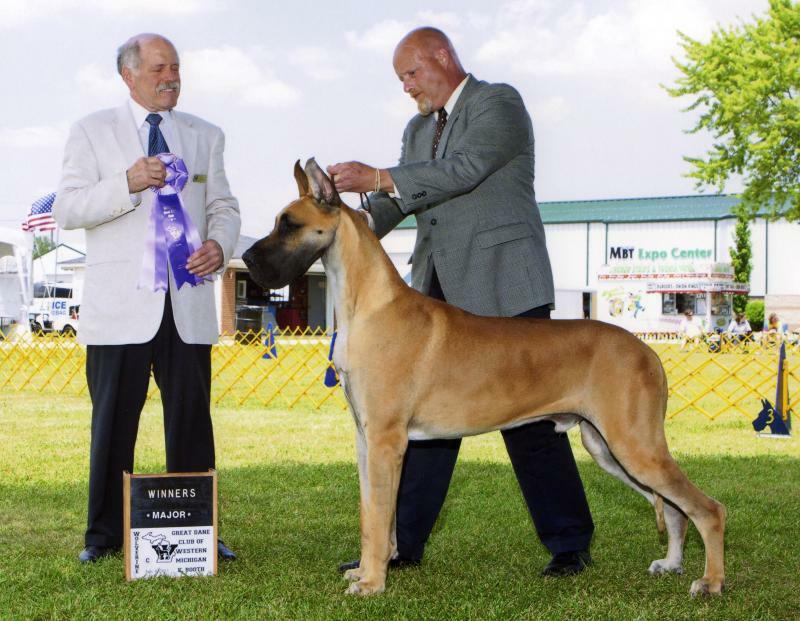 NV'E finished his AKC Championship on 11/4/11 at Sturgiss KC under James Reynolds, owner-handled by his mom Linda Morelli. NV'E has both majors, and only needs 1 single to finish. UPDATE 11/3/11: WD at Fort Wayne IN, handled by his mom, Linda Morelli. 1 more single to go!!! He is handled beautifully by Jeff Lawrence. Copyright 2011 Amador Danes. All rights reserved.